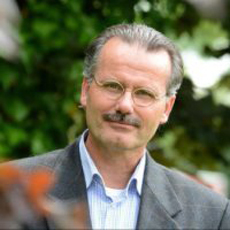 Lucien Engelen as founding Director of the Radboud REshape & Innovation Centre of the Radboud University Medical Centre (RUNMC) . This center will follow or create trends, translated idea’s into practice and vast progress in what he calls Participatory Health. He is the founder & Curator of TEDxMaastricht “the Future of Health”, Faculty of FutureMed track Singularity University (founded by Google, NASA and Autodesk) Silicon Valley, Mentor Health of the Founder Institute, Amsterdam. Together with the Mayo Clinic he founded the Global Social Media Network for the healthcare. Fall 2011 he founded the Radboud Reshape Academy, with (international) Masterclasses about the upcoming changes as described above. Lucien acts as well as Head of the Regional Emergency Healthcare Network and is advisory to the executive board at RUNMC.